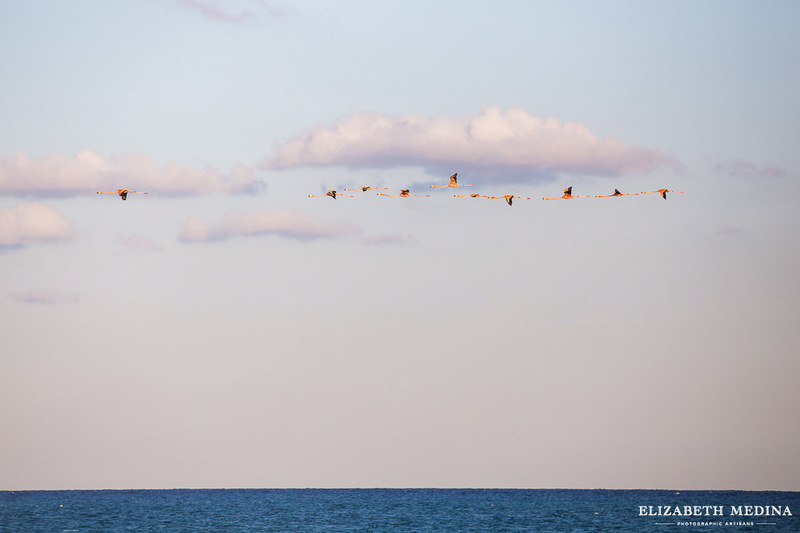 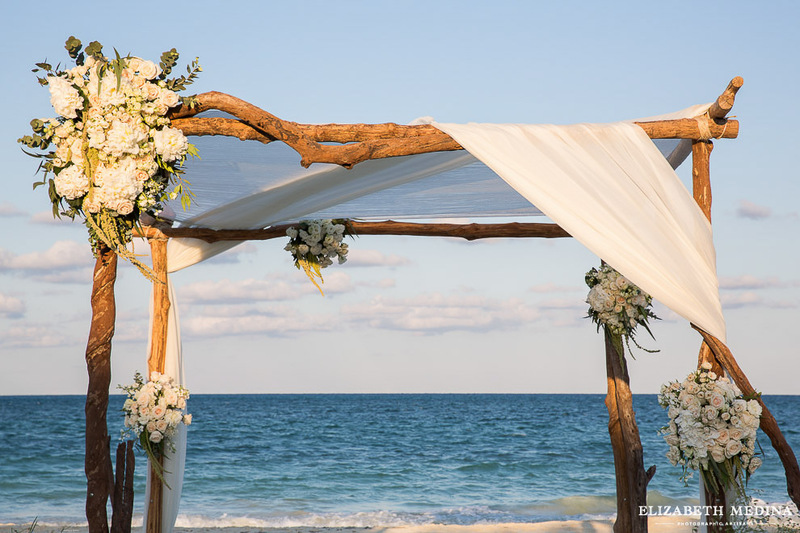 A flock of flamingos flying over a flower adorned driftwood arch next to a gorgeous turquoise ocean, perfectly timed before the beautiful barefoot bride’s walk down the aisle… really, is this even possible? 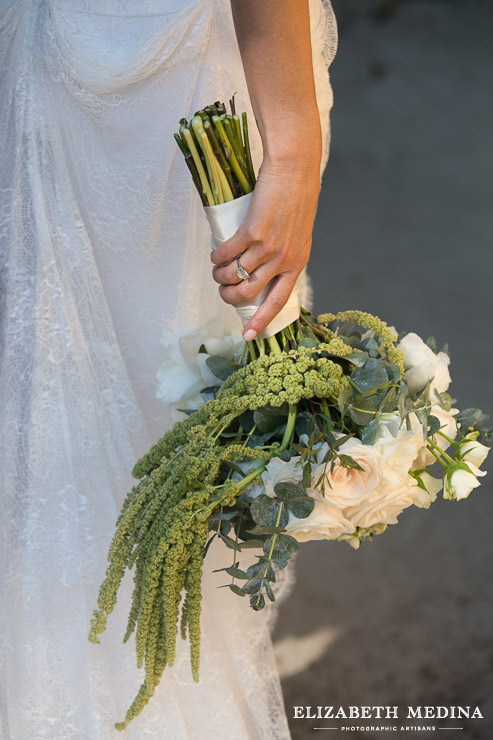 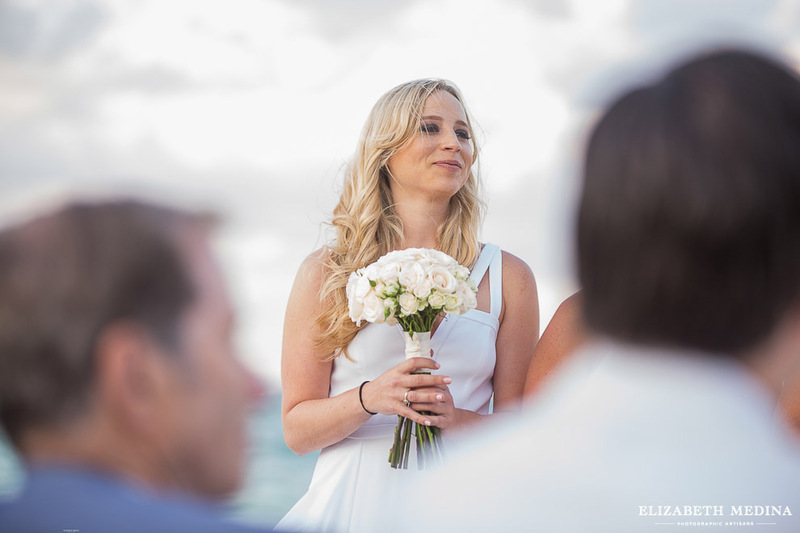 As much as I would love to say that I am that aloof, cool as a cucumber, seen-it-all, kind of destination wedding photographer, I am afraid that nothing could be farther than the truth! 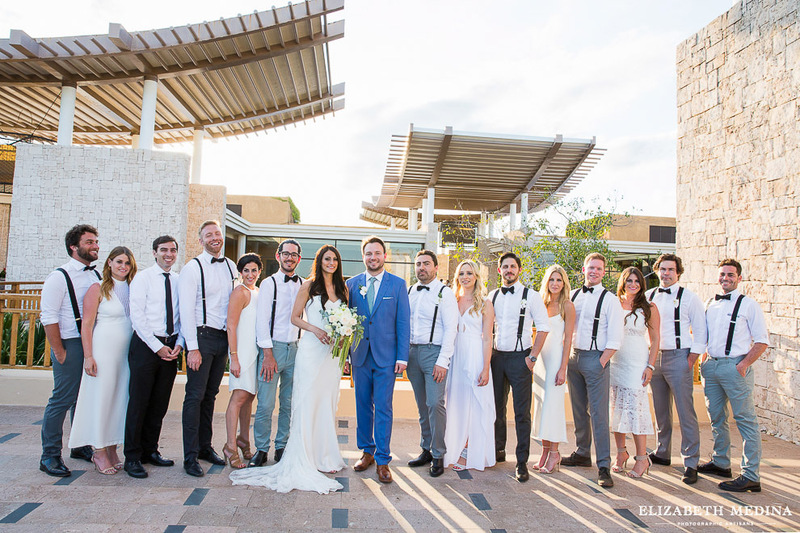 I am the biggest wedding day fan girl of all time! 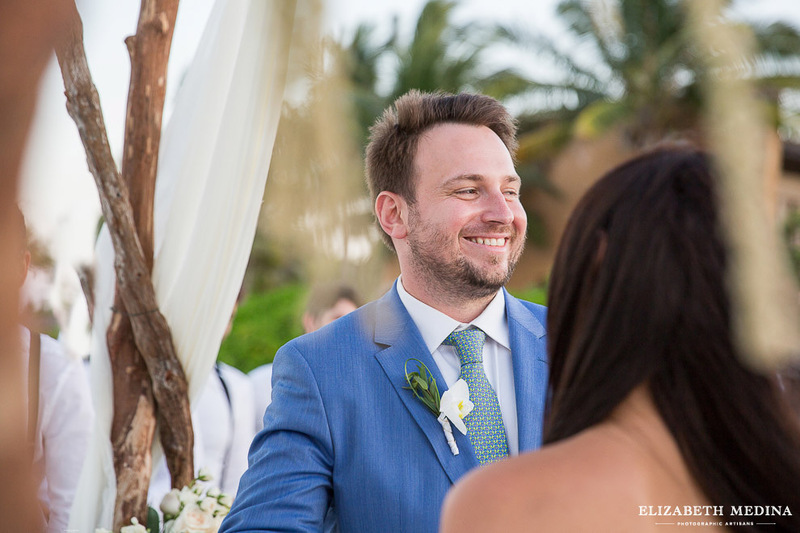 Despite the many weddings as I have documented and the challenges that each presents, each wedding just seems to bring its own special magic that is so much fun to capture in photographs. 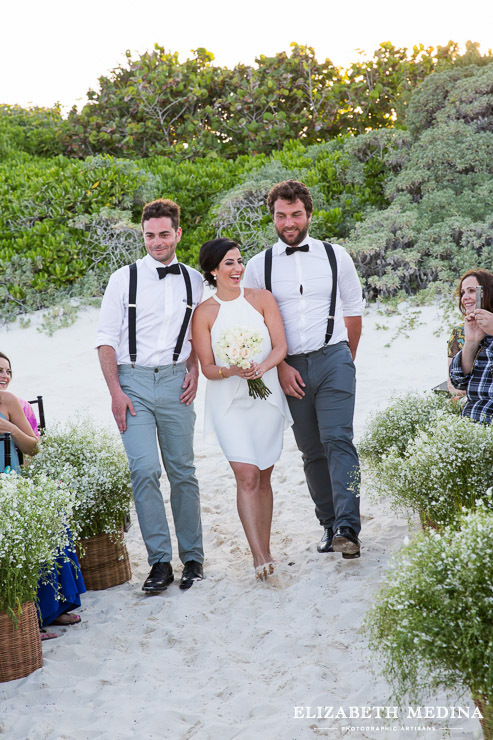 So please don’t judge if I can’t help being ridiculously excited about the photographs before they are even downloaded from the camera. 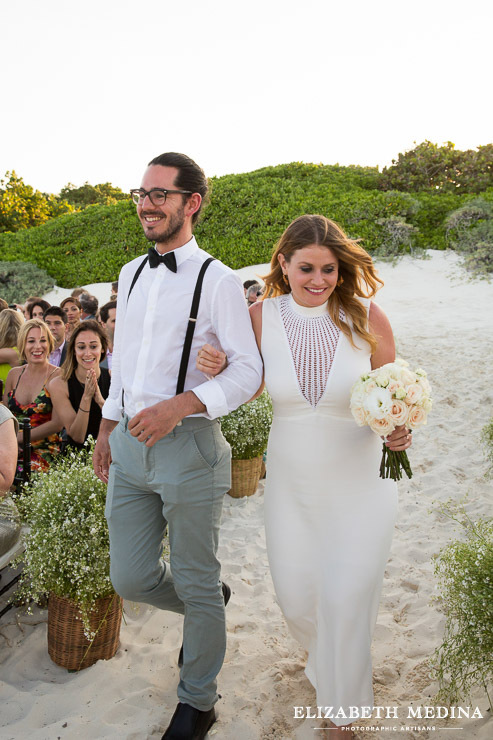 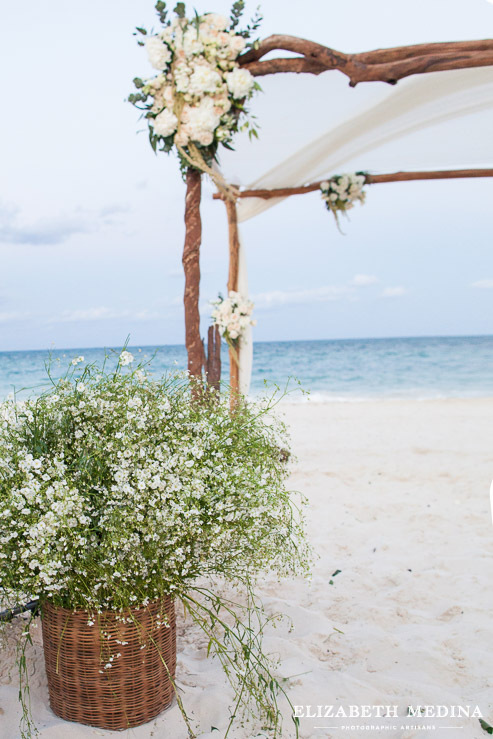 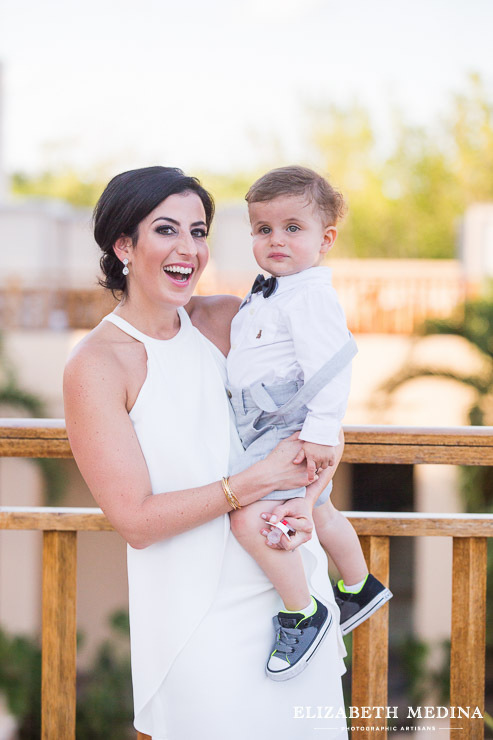 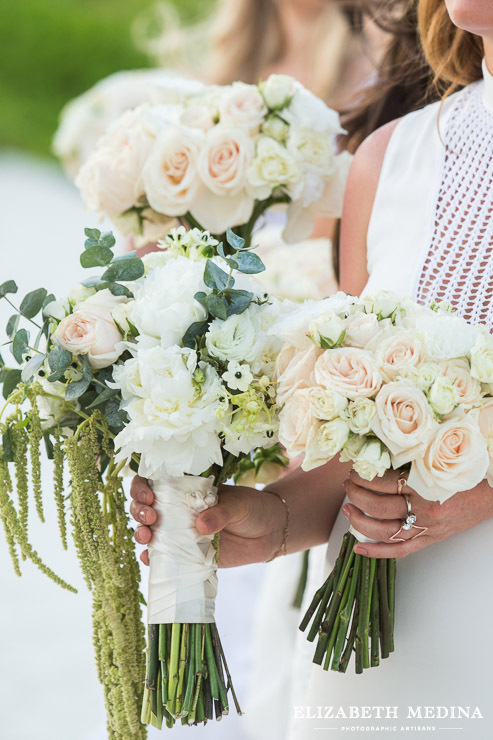 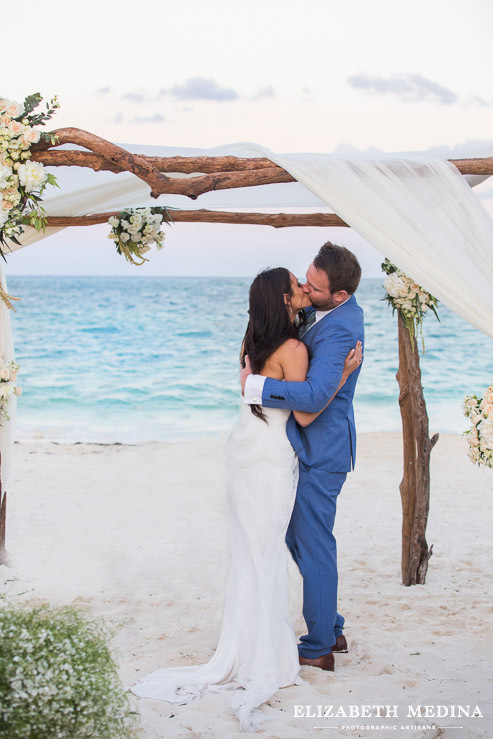 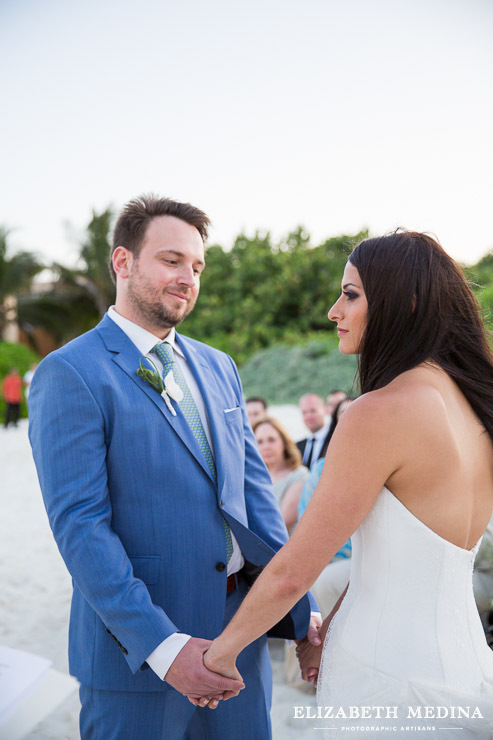 And please scroll down through the images of this Banyan Tree Mayakoba, I’d love to share a peek at Lauren and Scott’s very beautiful day in Mexico. 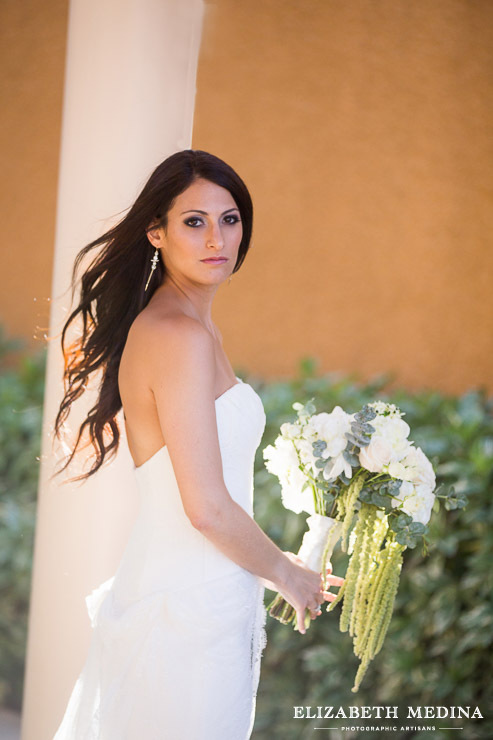 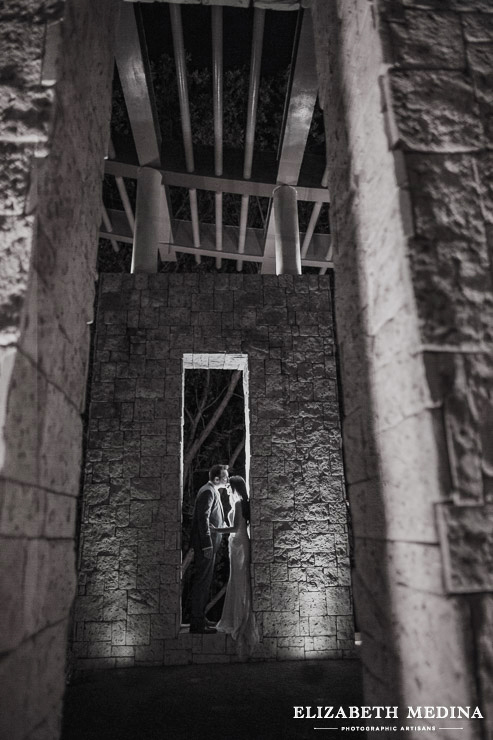 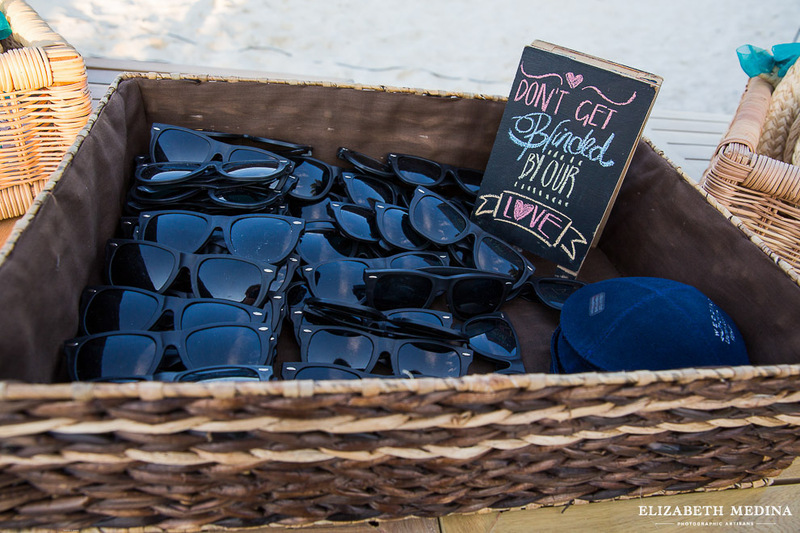 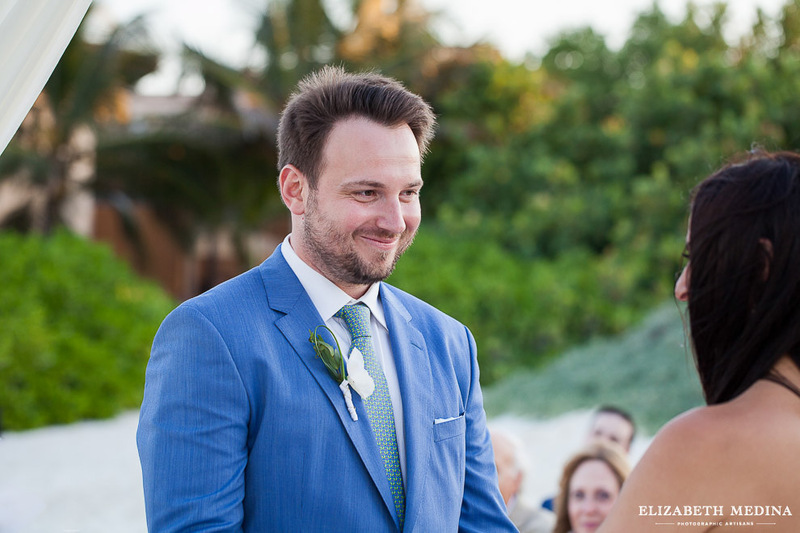 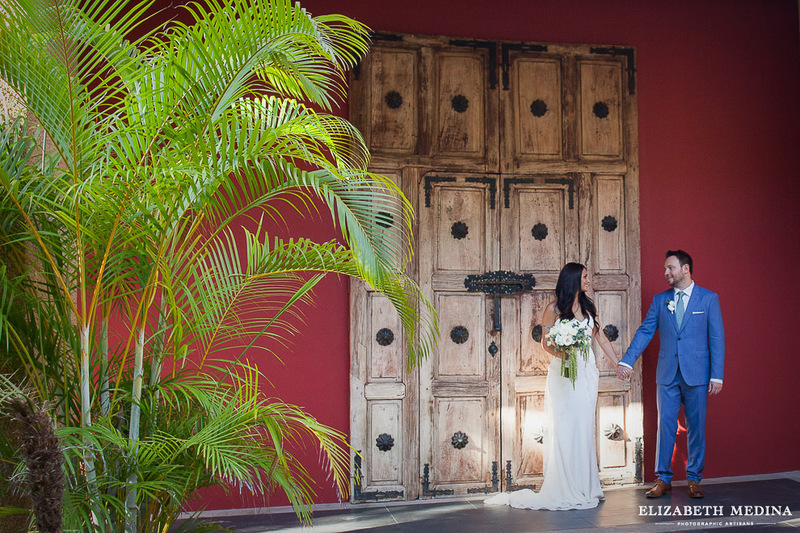 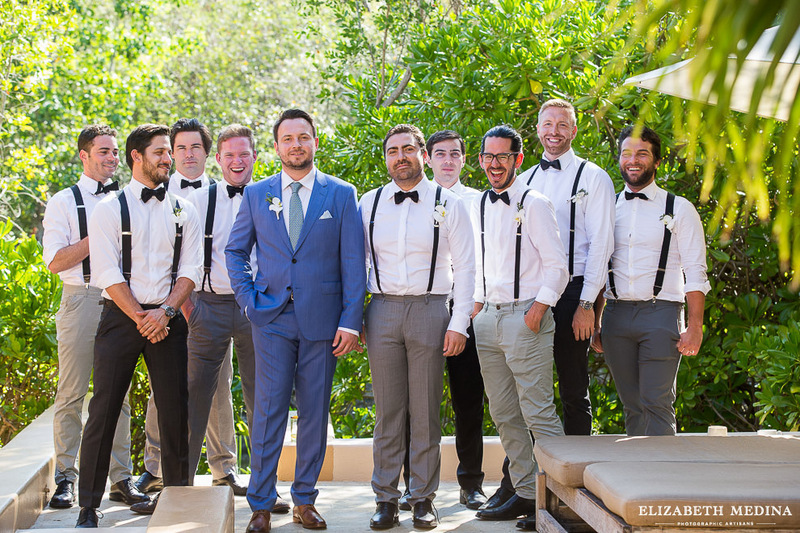 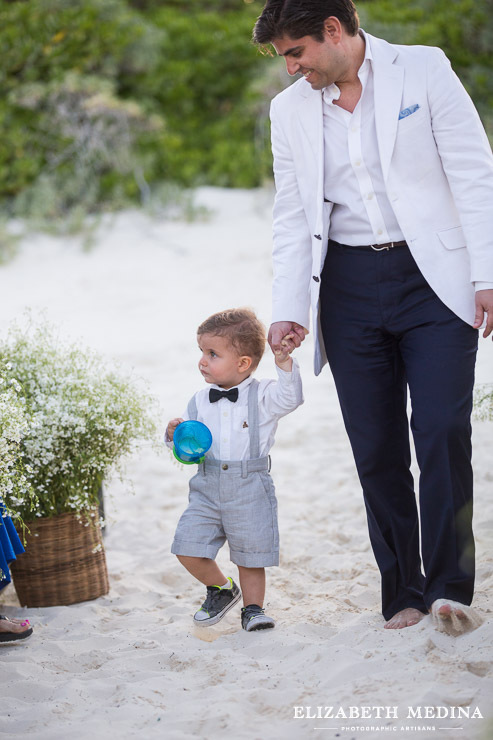 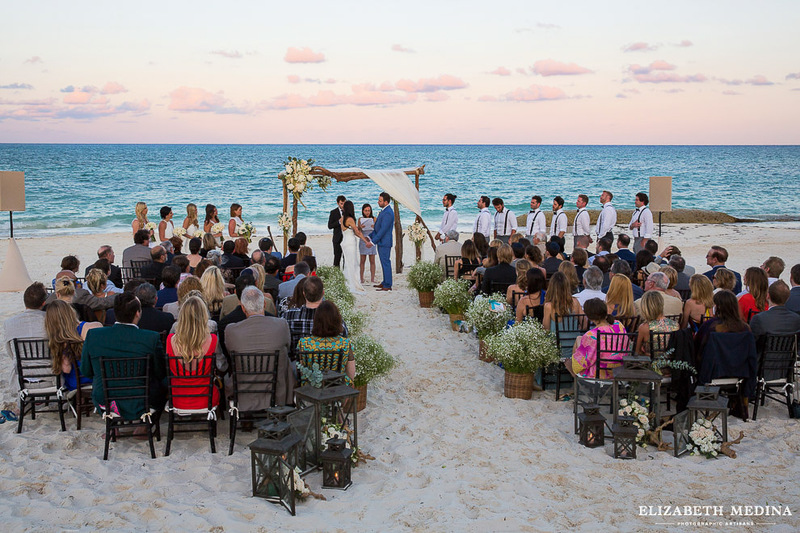 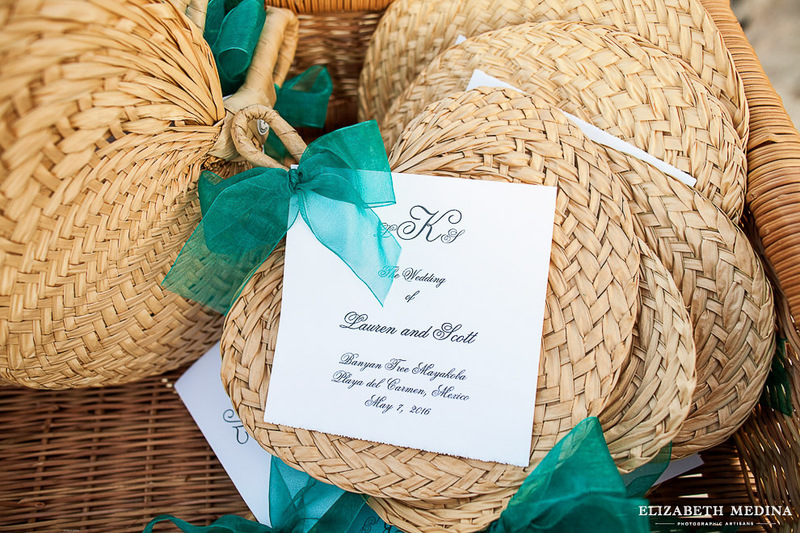 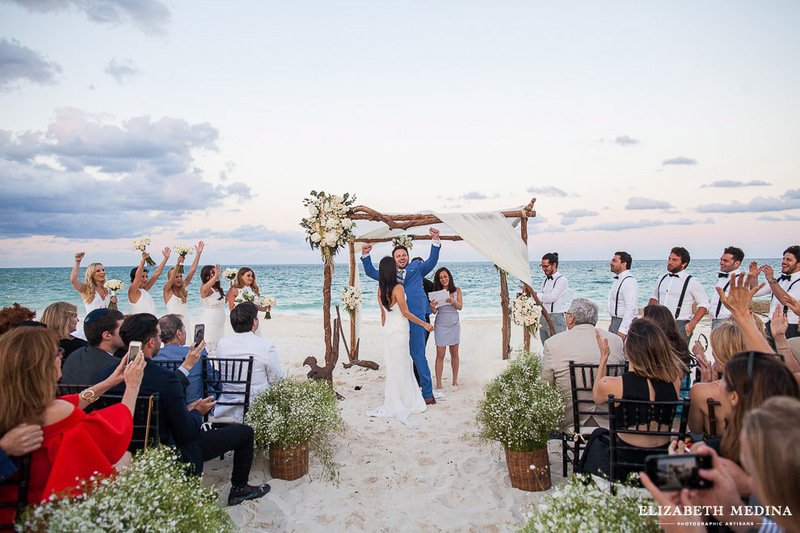 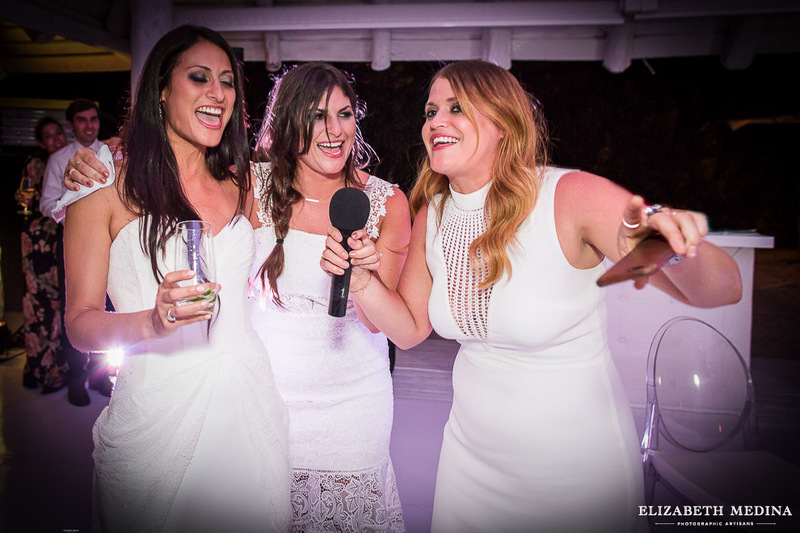 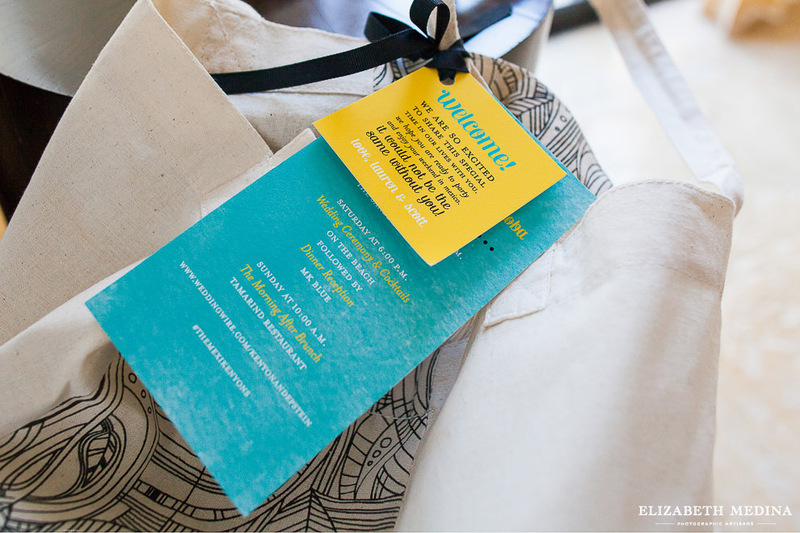 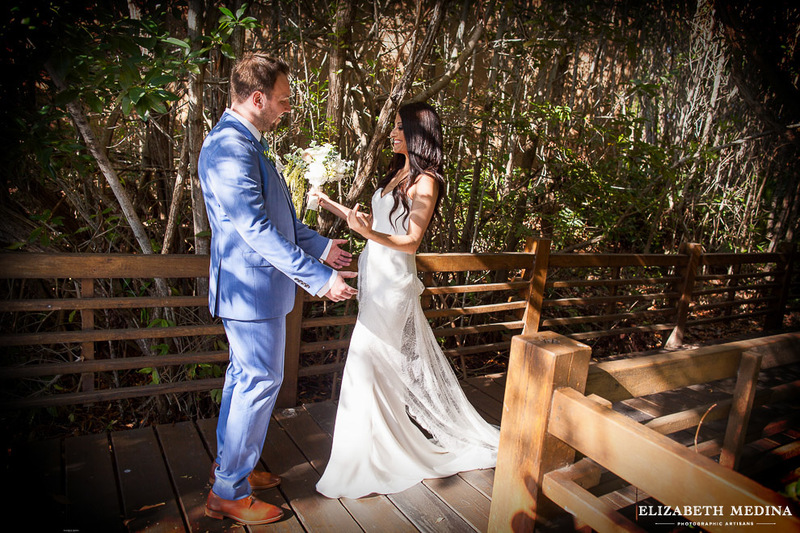 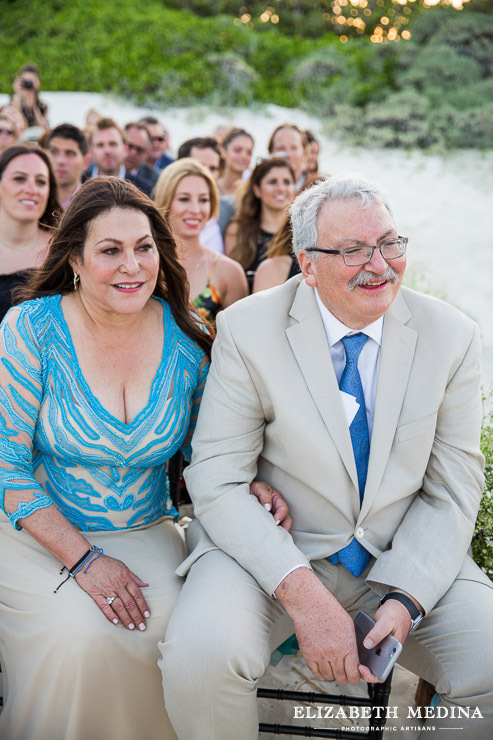 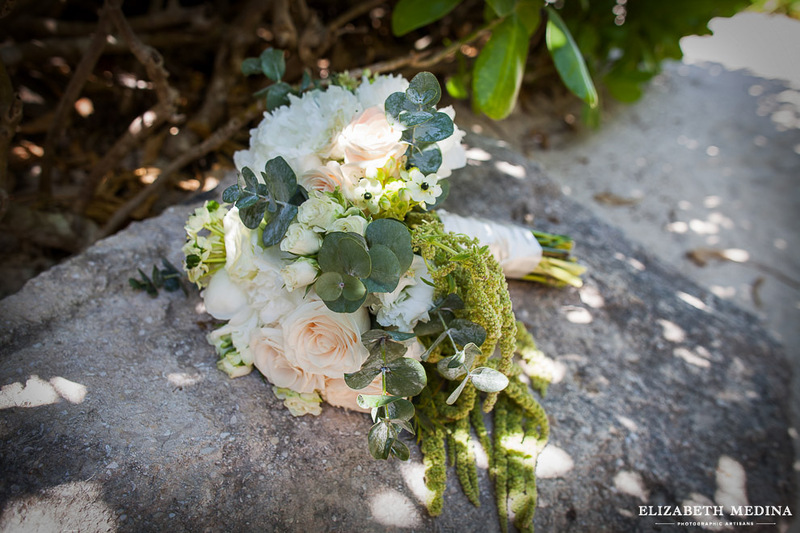 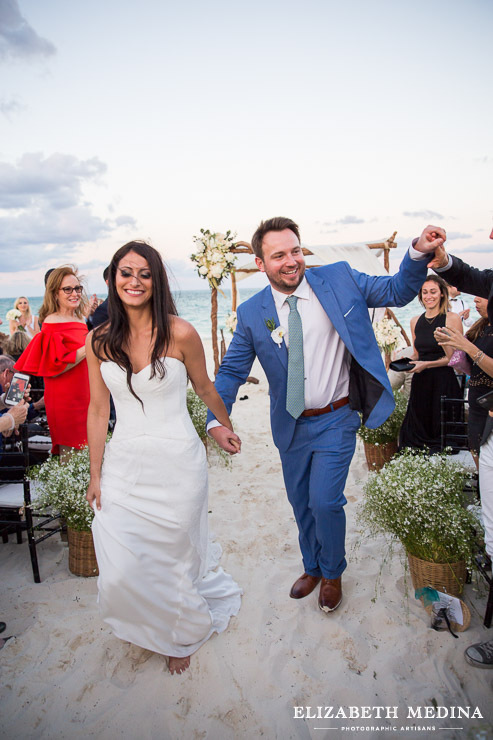 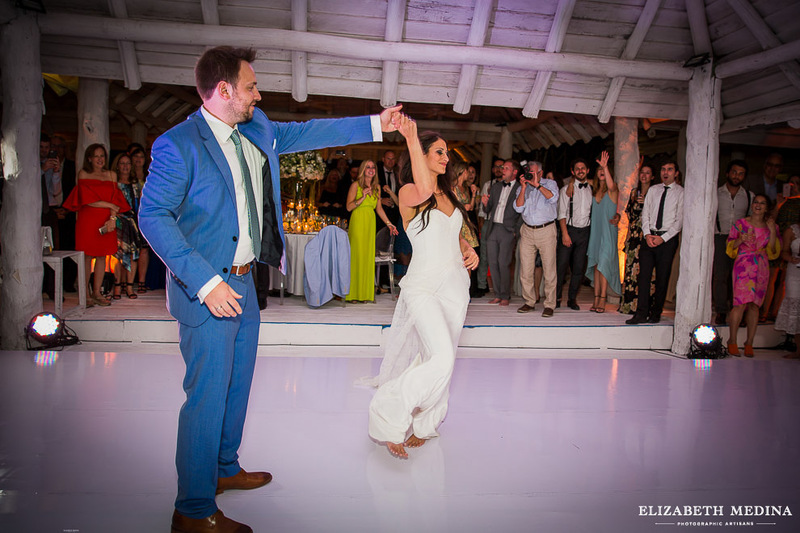 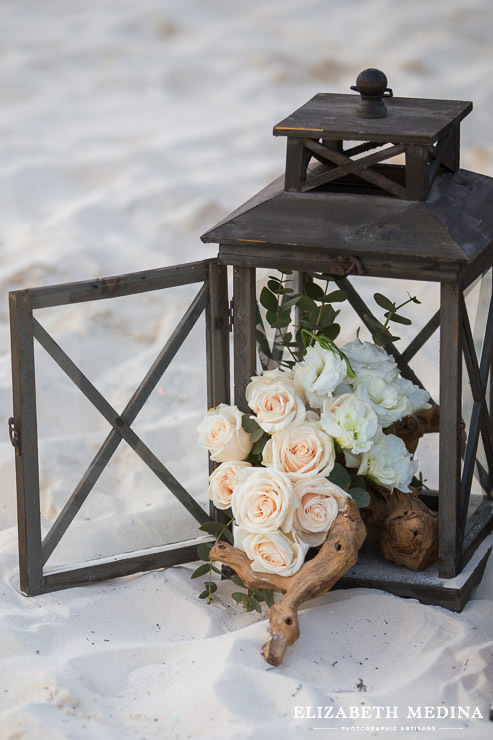 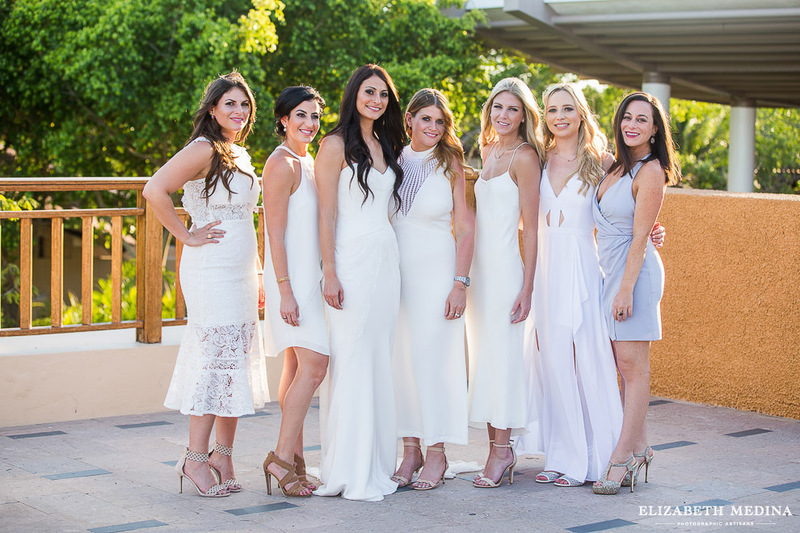 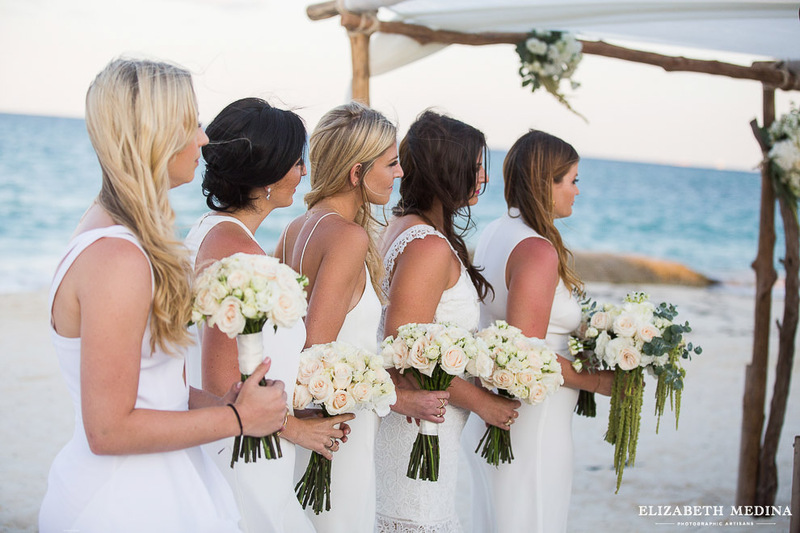 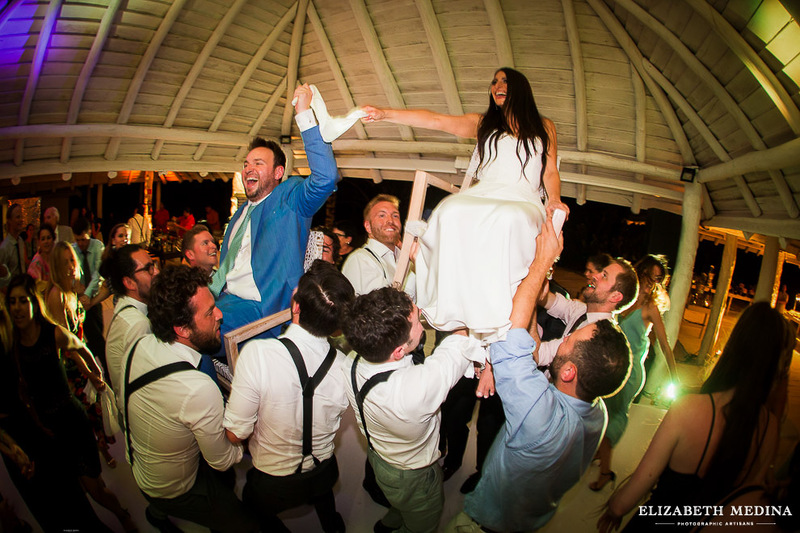 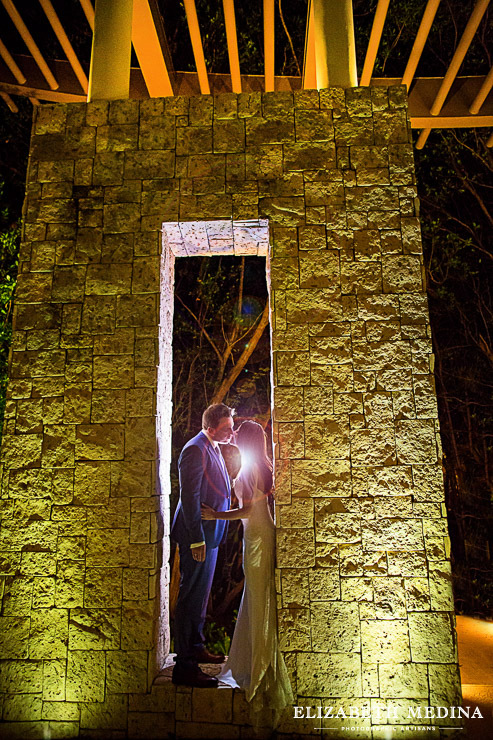 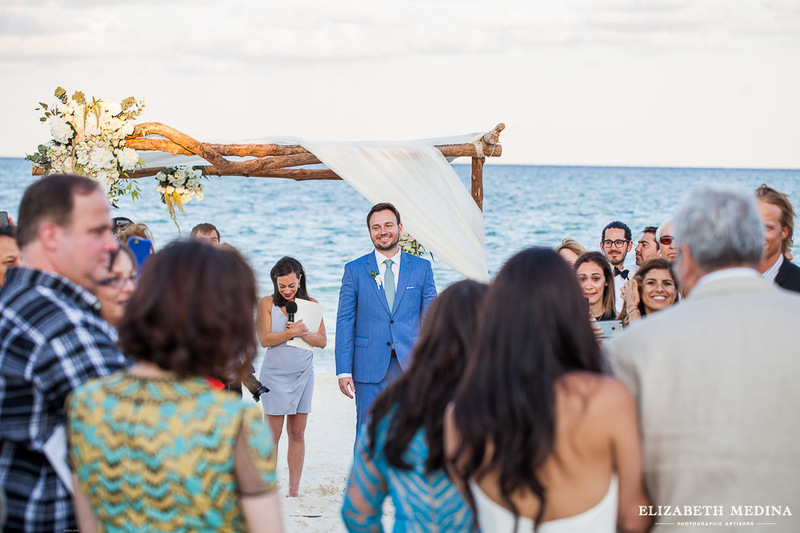 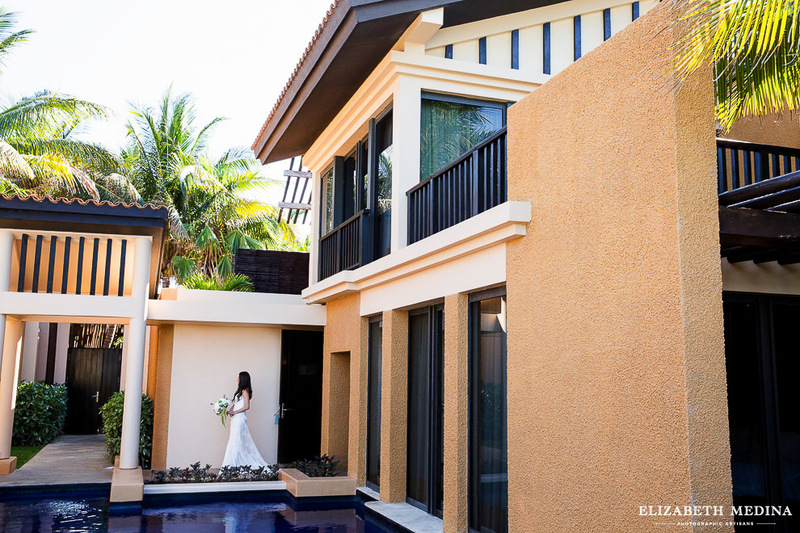 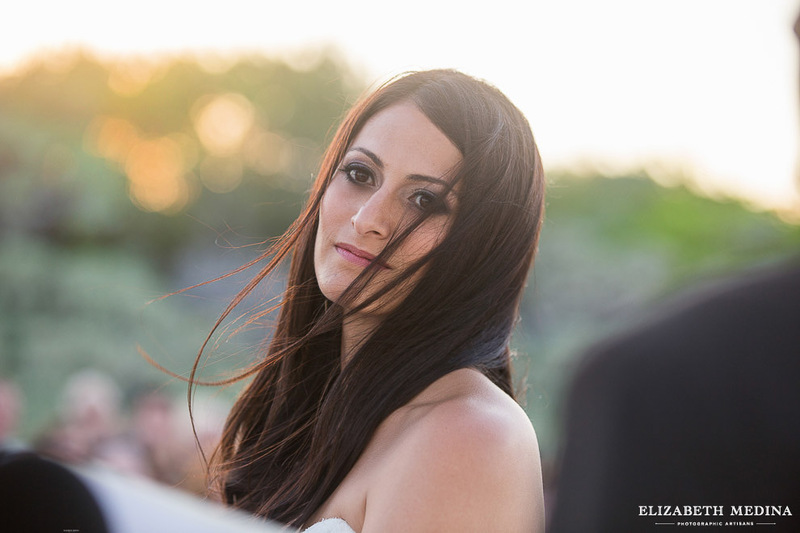 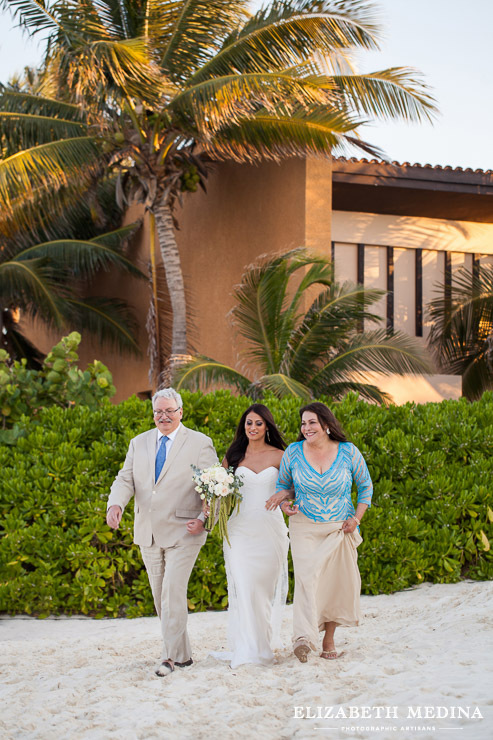 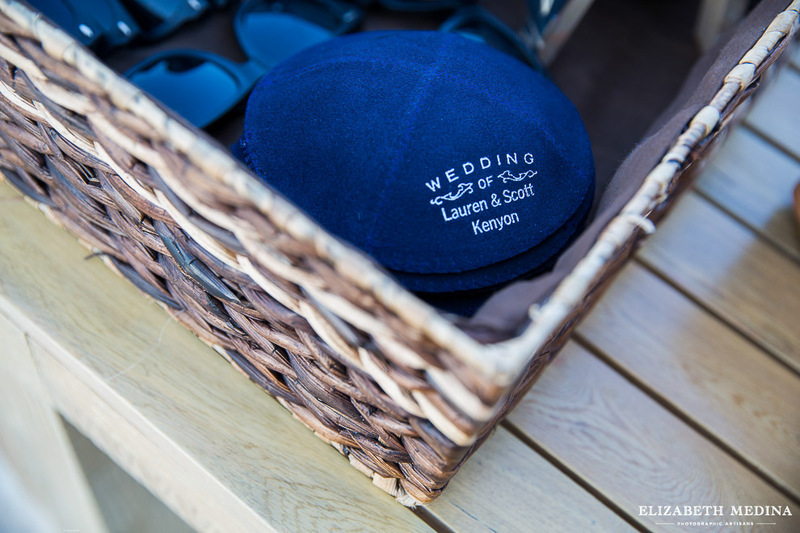 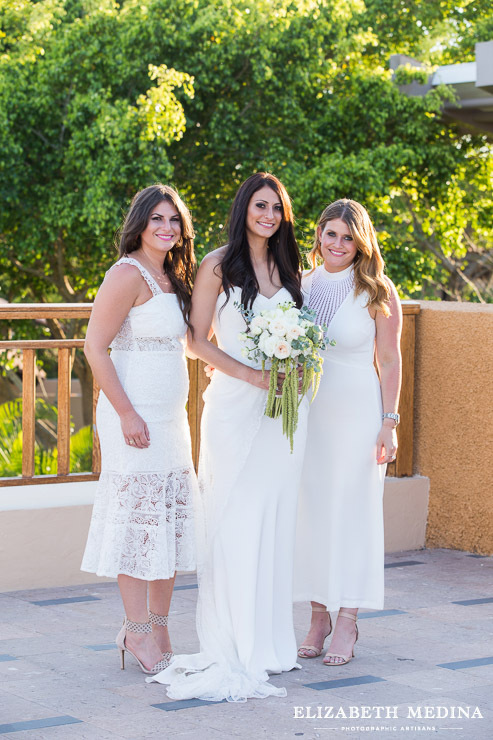 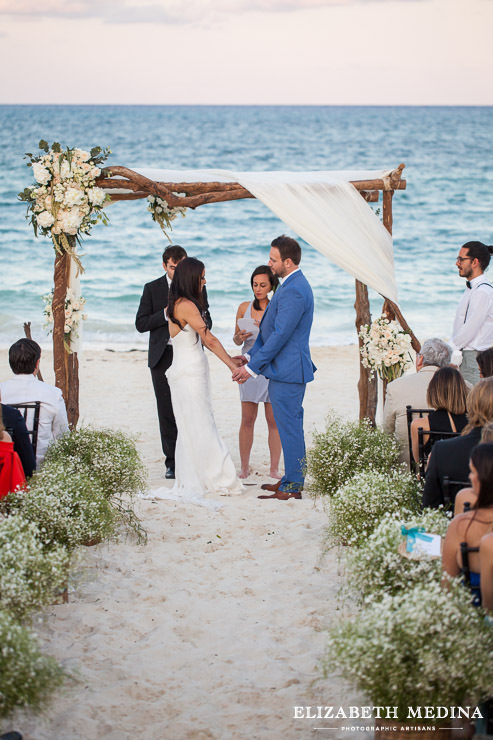 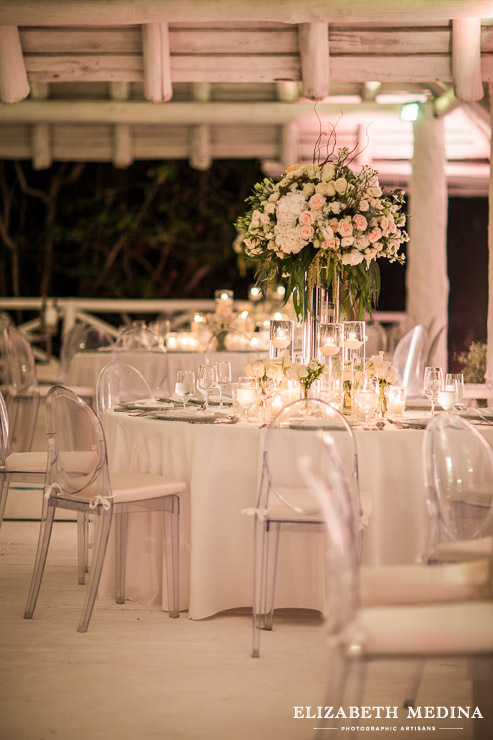 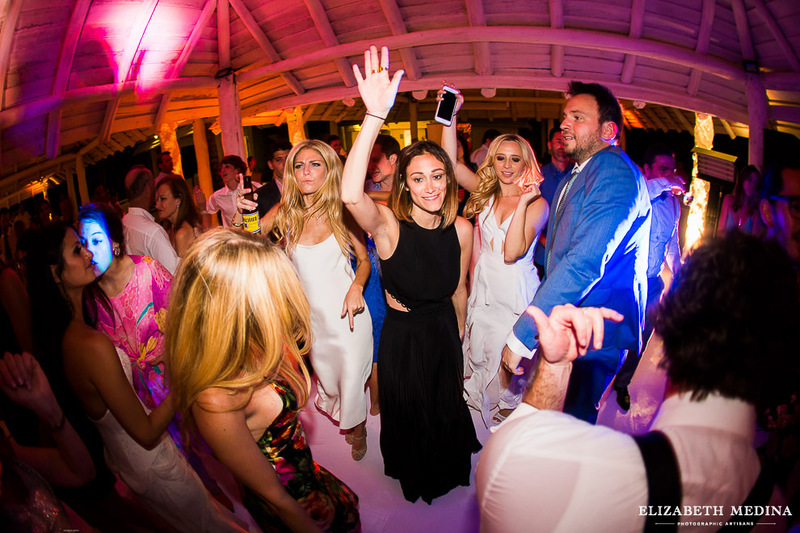 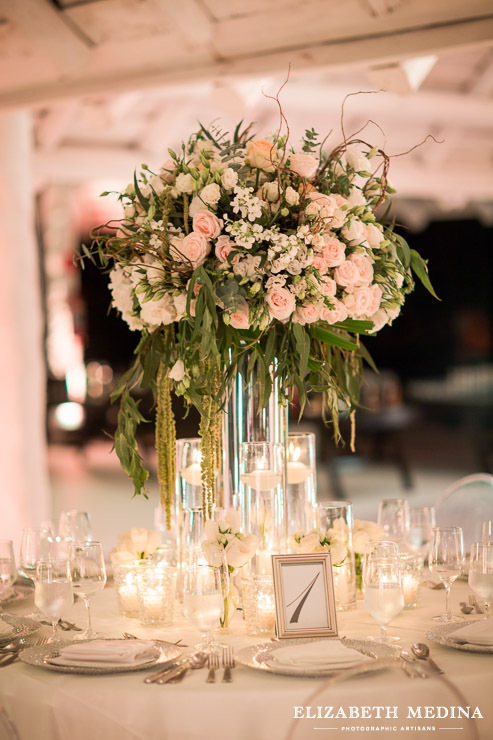 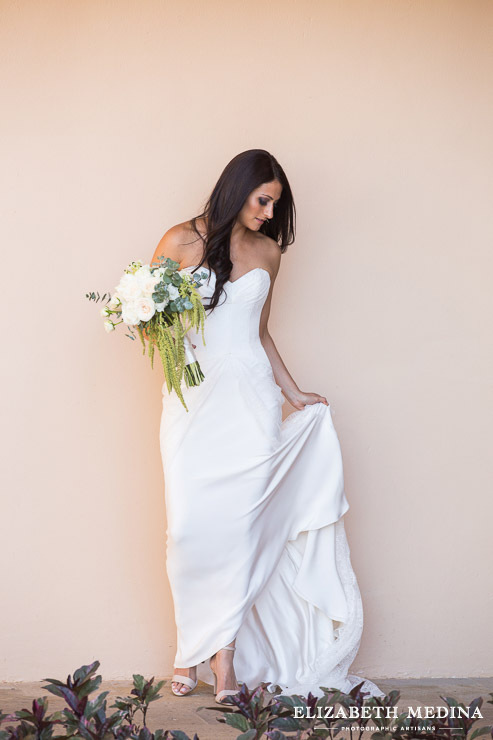 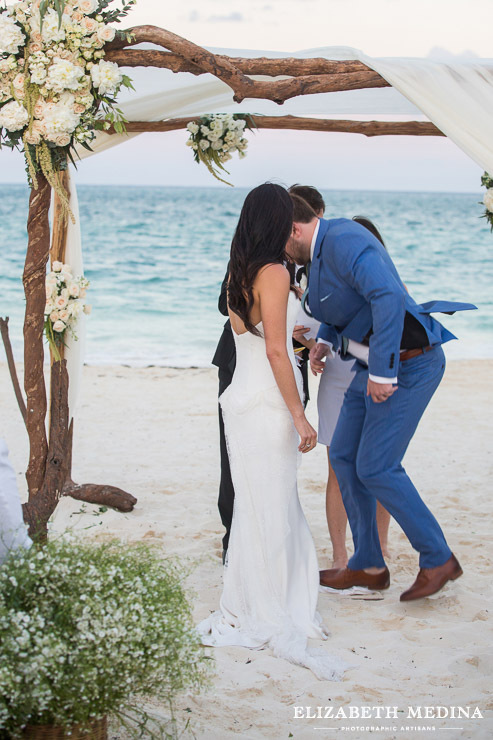 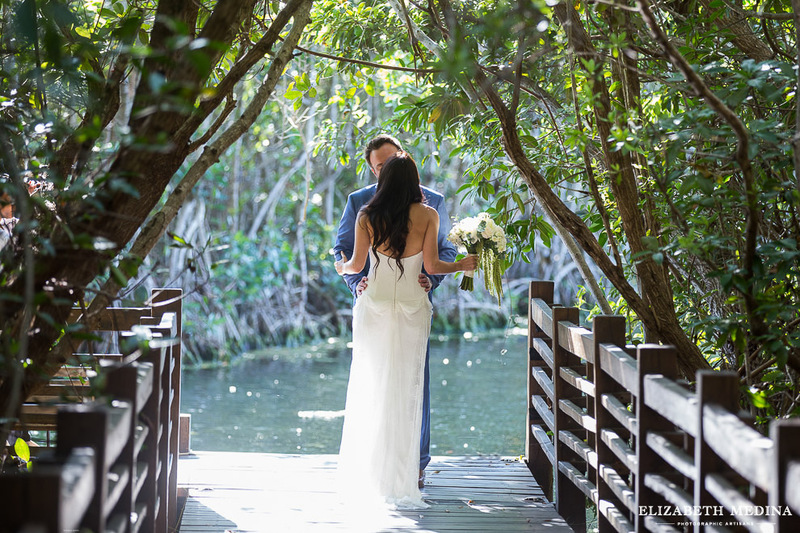 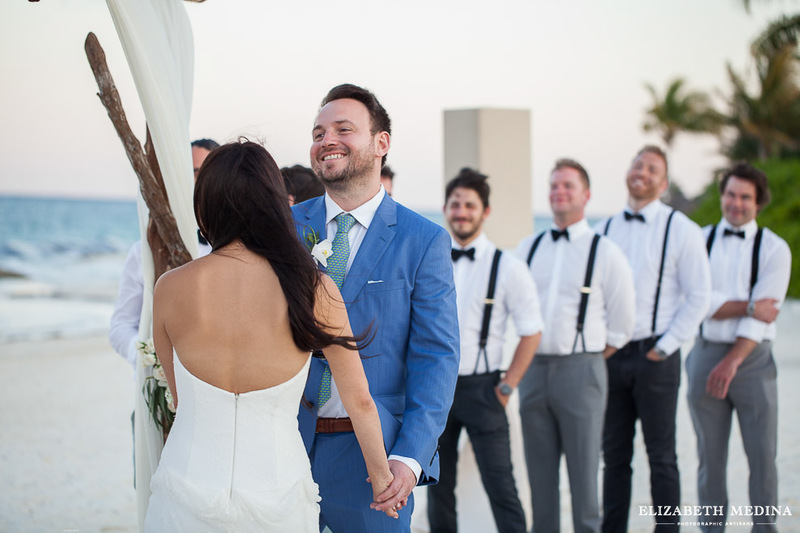 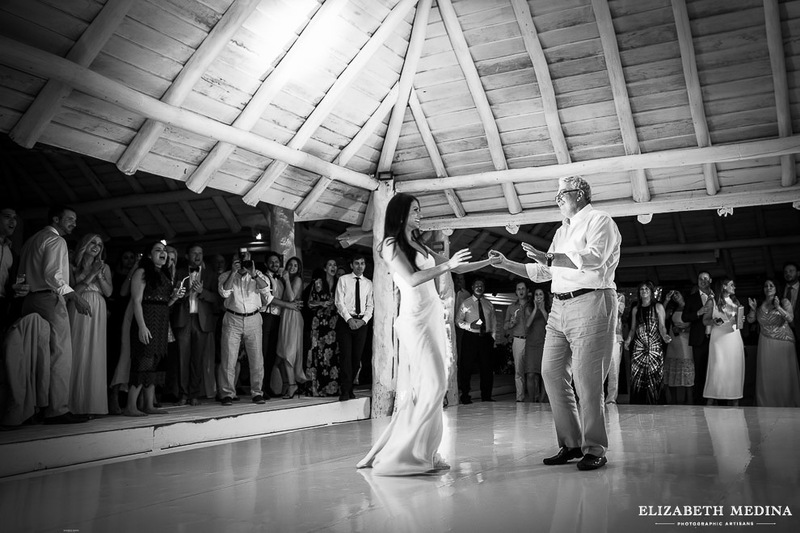 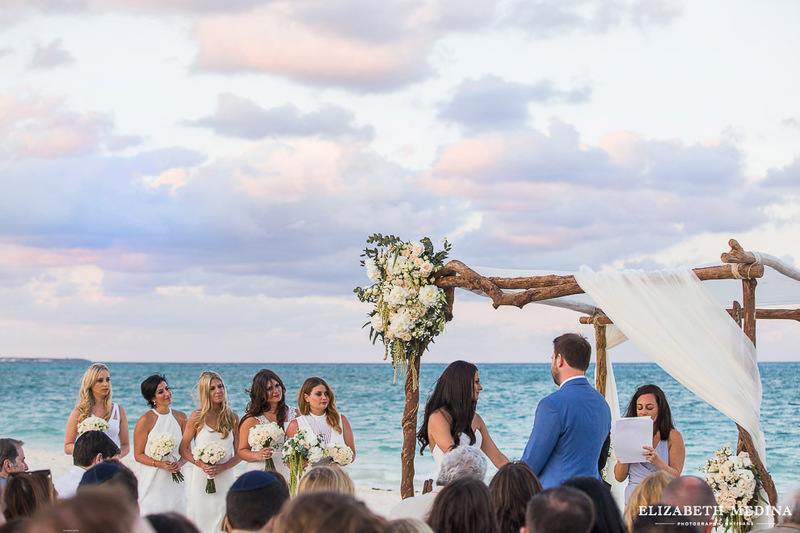 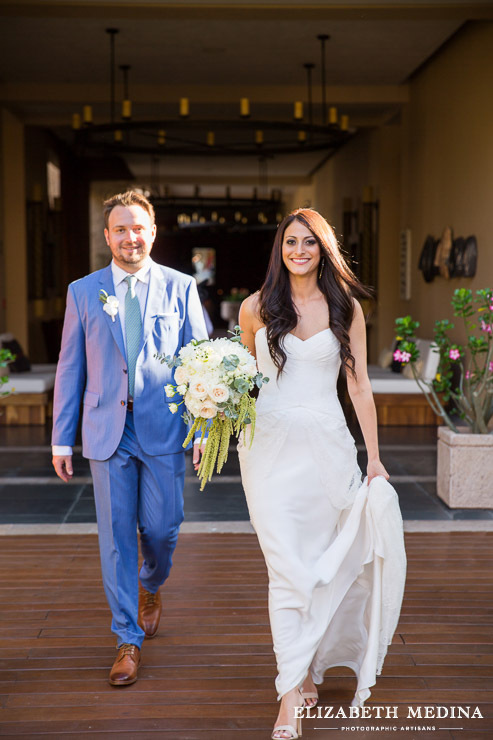 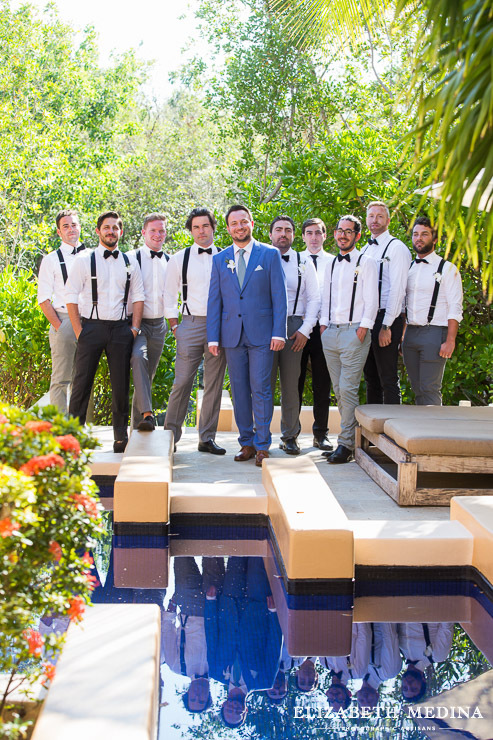 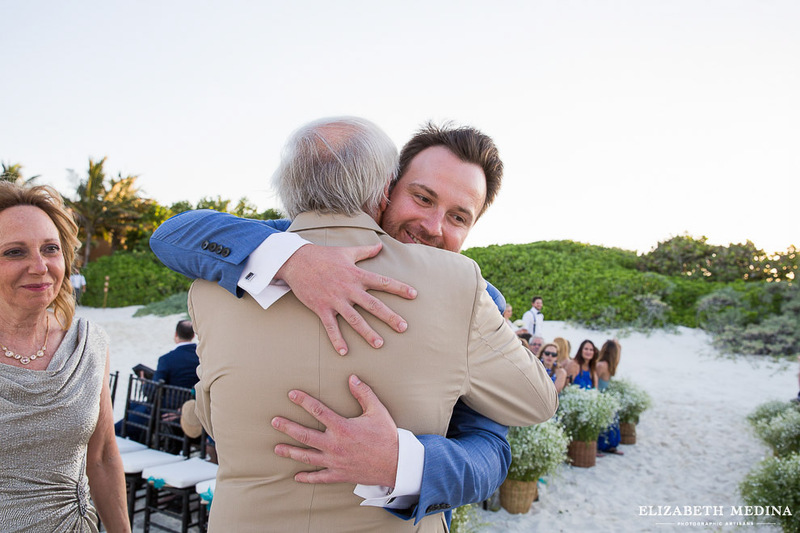 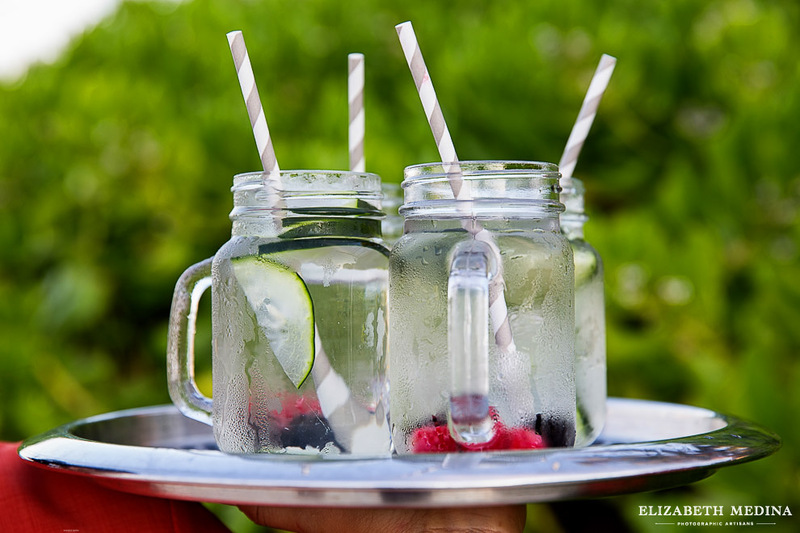 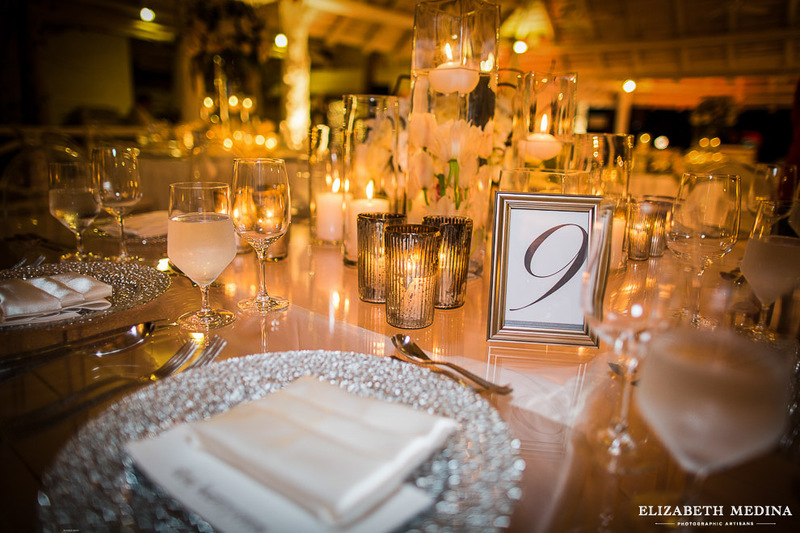 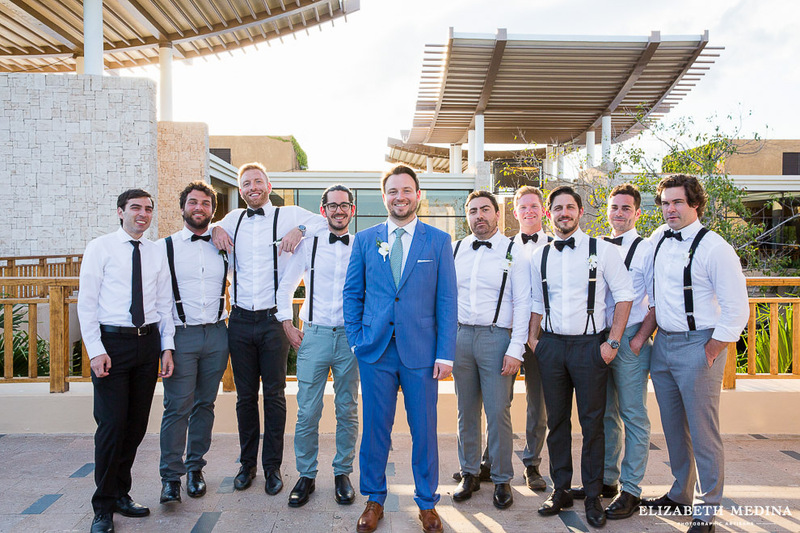 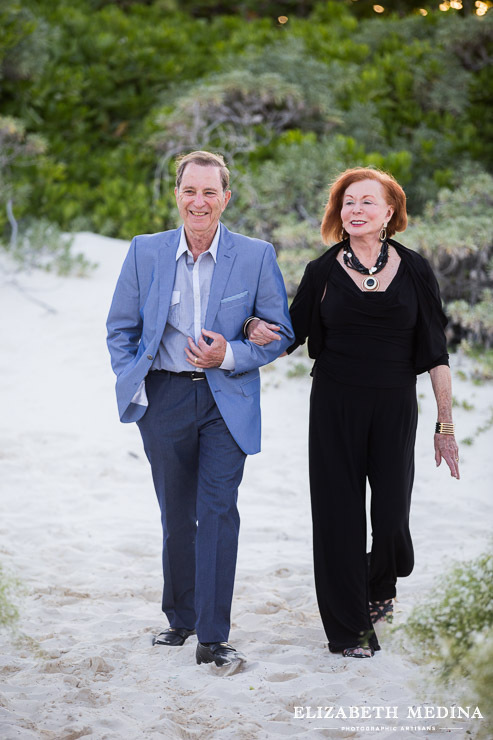 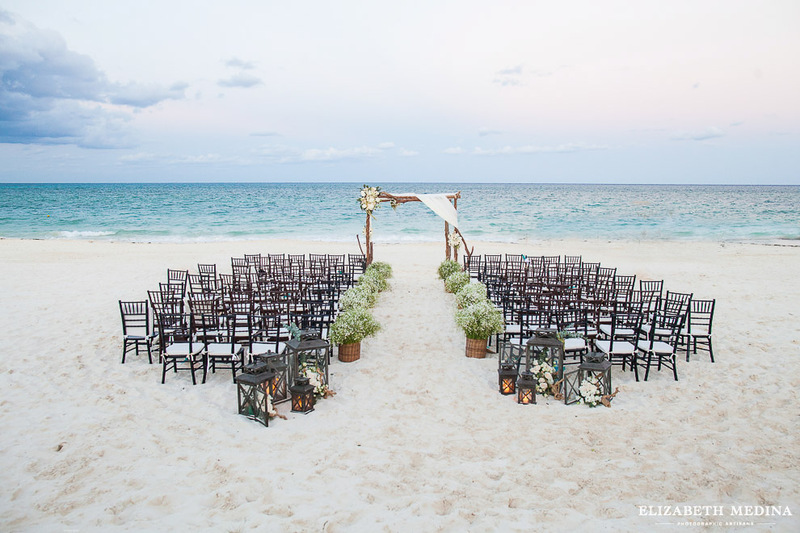 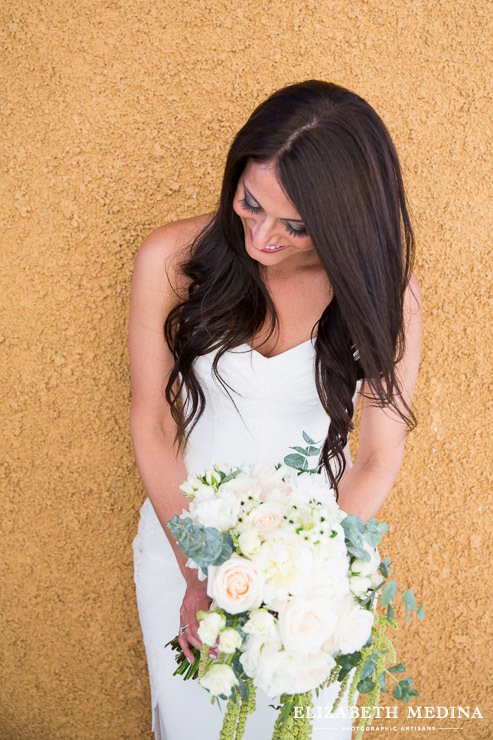 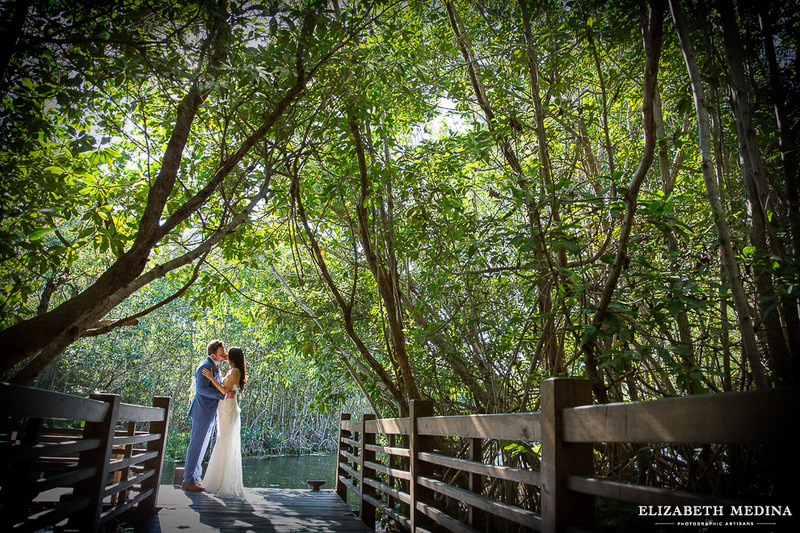 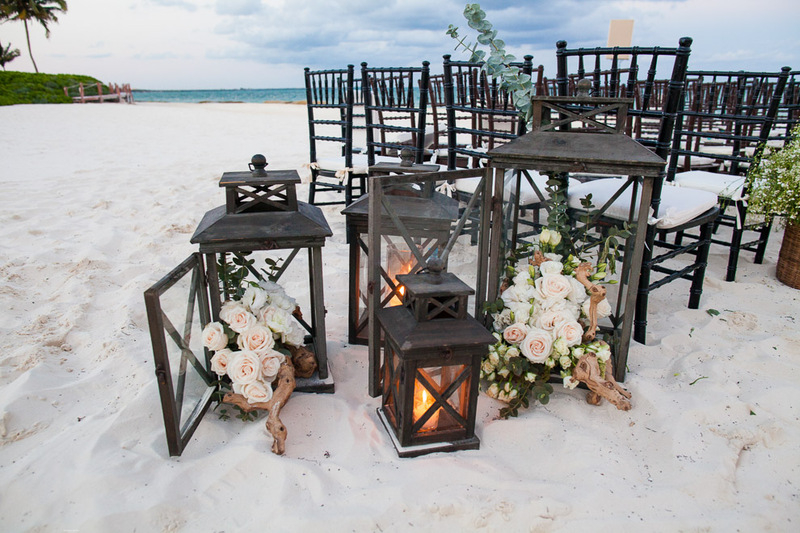 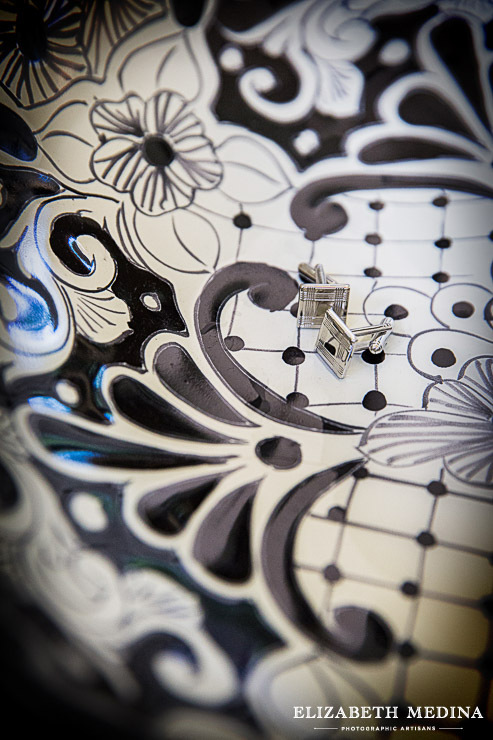 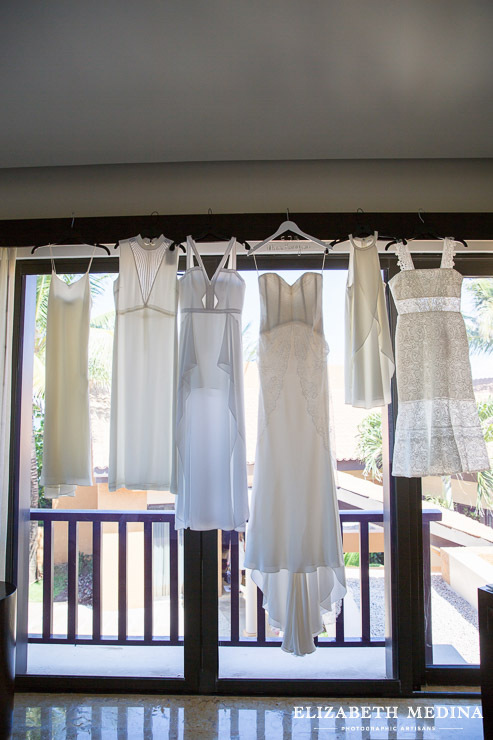 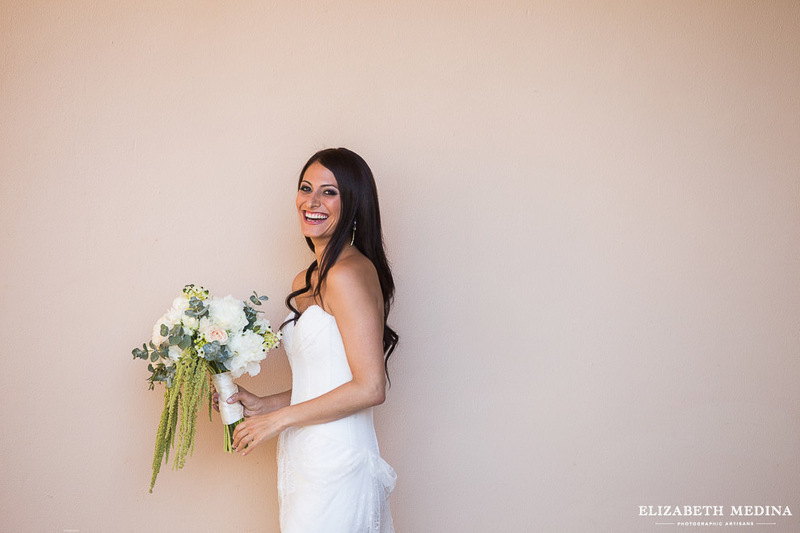 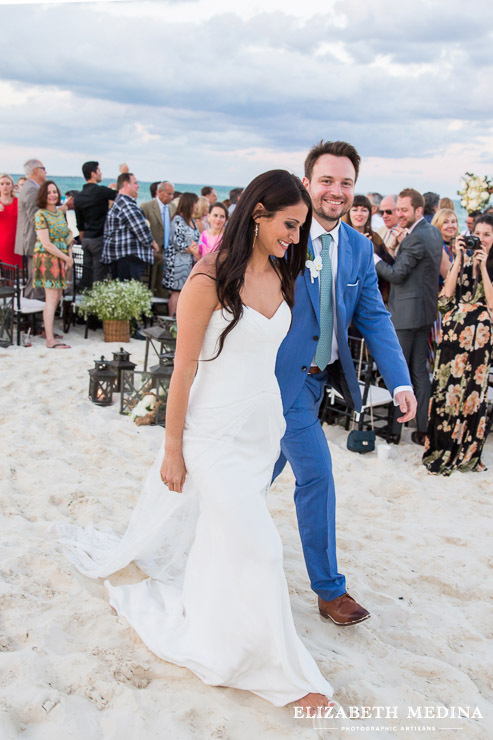 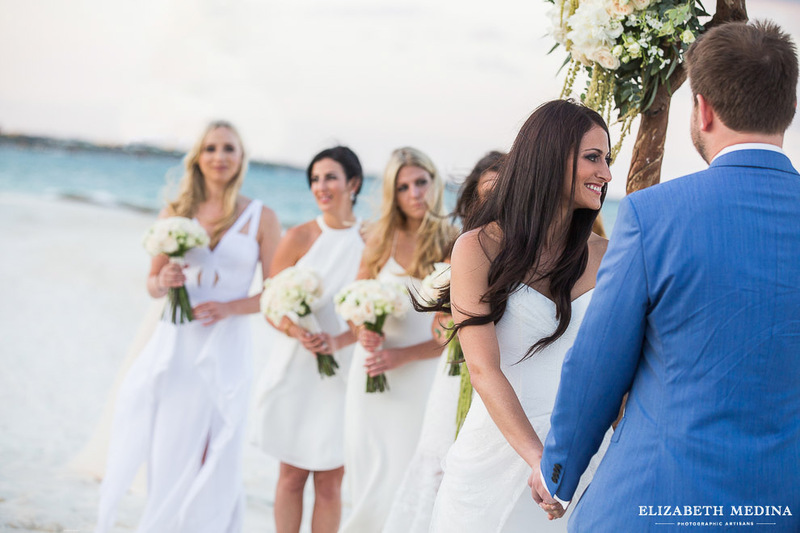 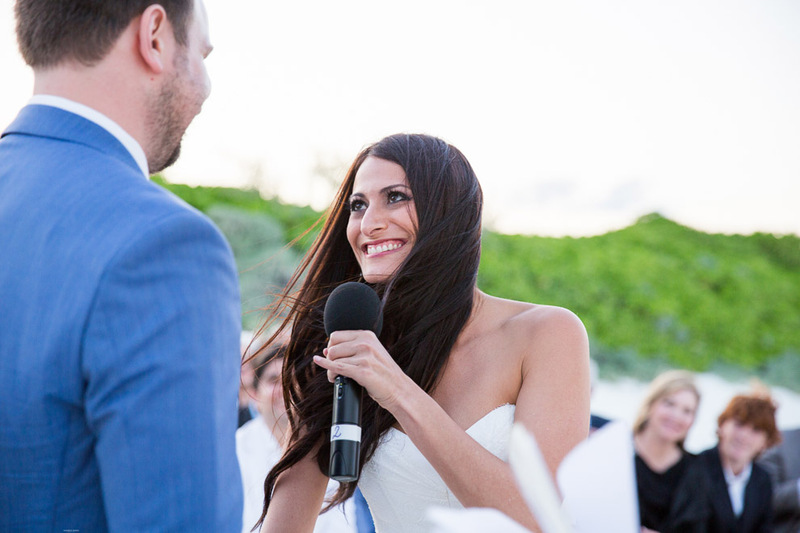 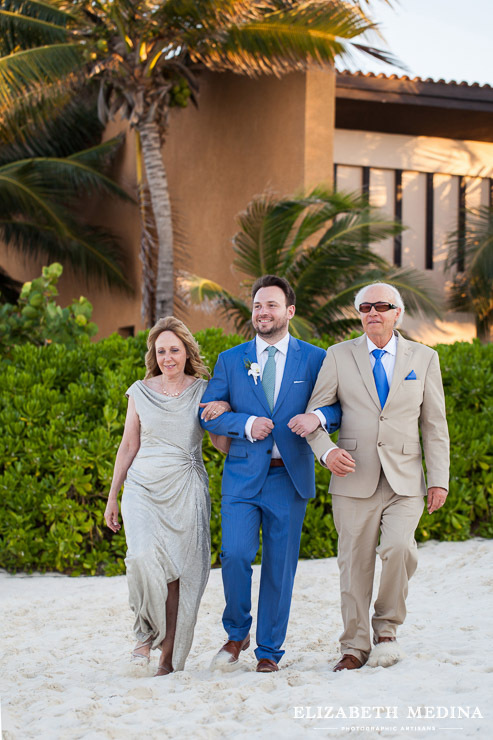 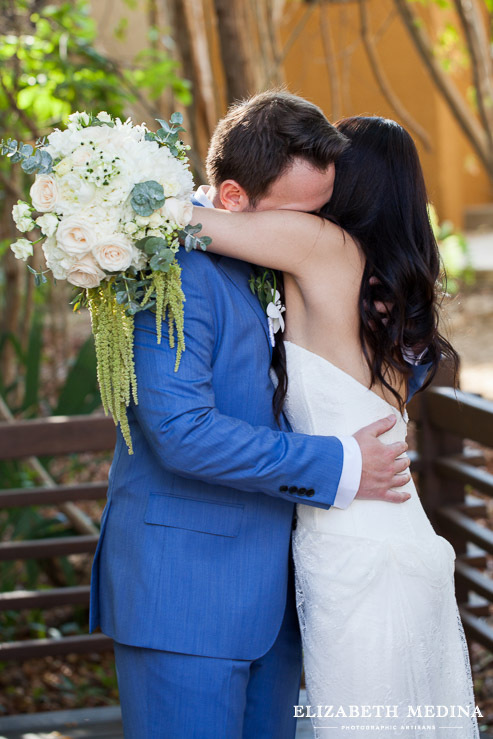 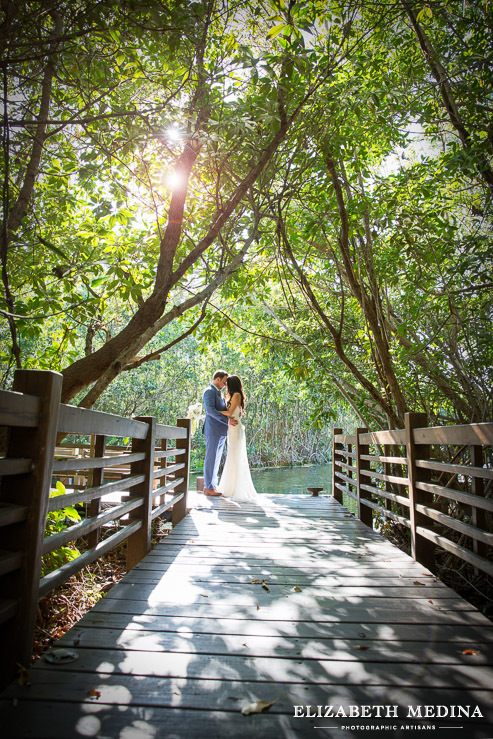 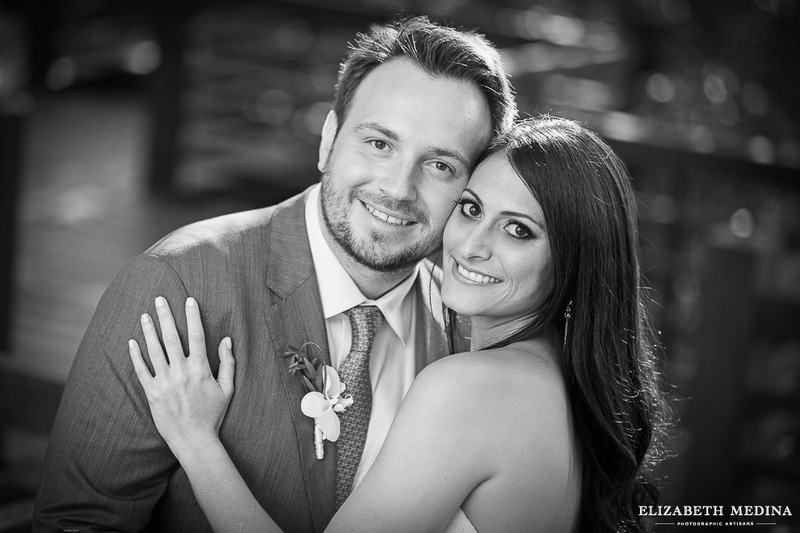 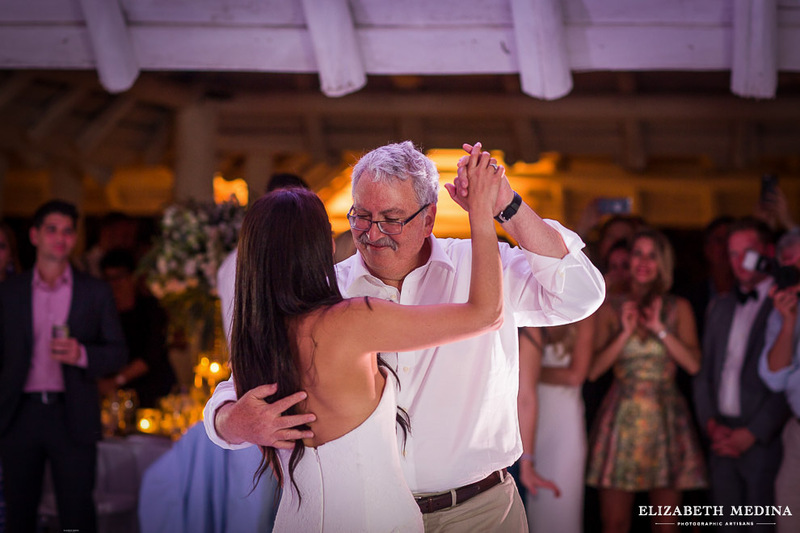 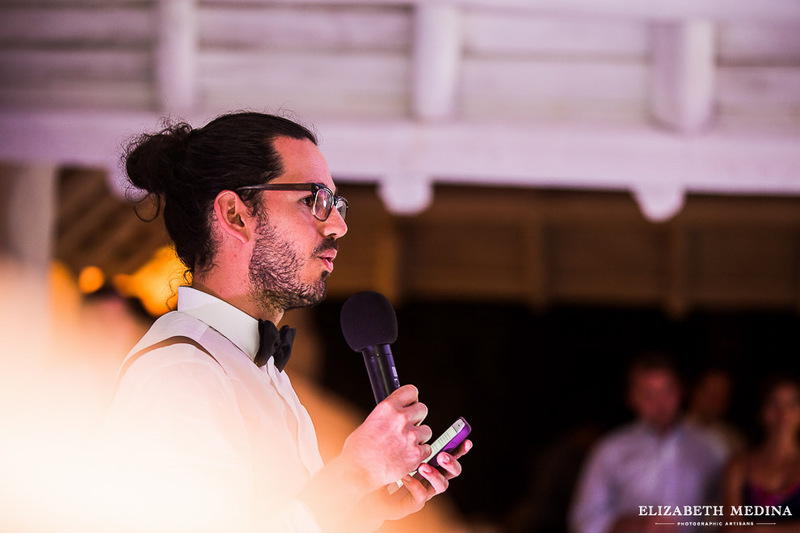 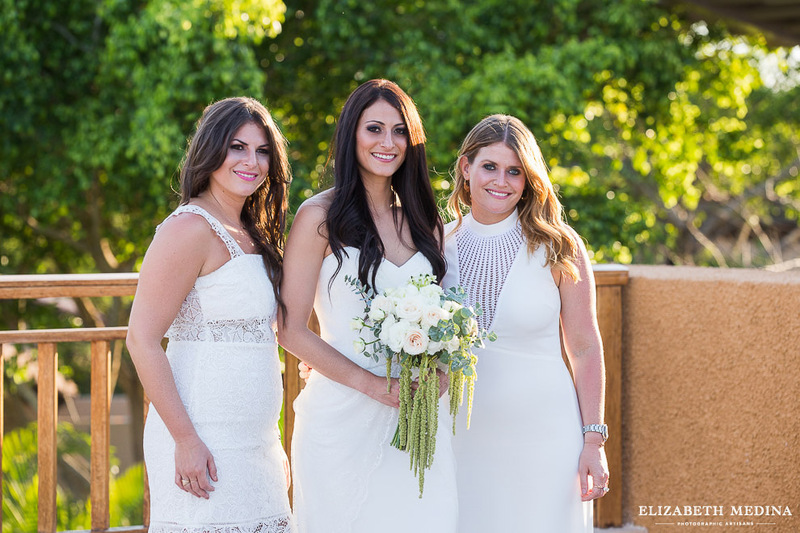 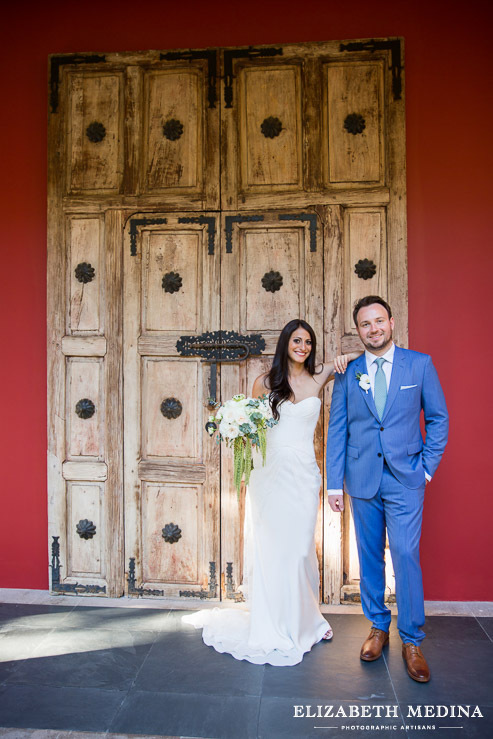 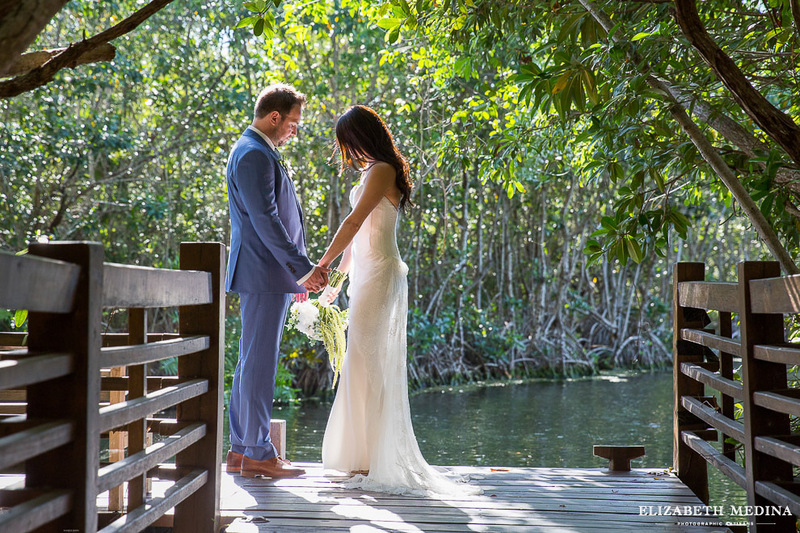 Banyan Tree Mayakoba wedding with Elizabeth Medina Photographic Artisans, Mexico’s premiere destination wedding photographers, photographing weddings in Playa del Carmen, Cancun, Tulum, Merida and throughout Mexico.